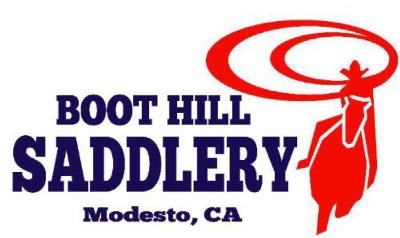 We are a small custom saddle shop located in the Central Valley of California about ten miles east of Modesto. We specialize in high quality handmade saddles and tack. Our focus is on durability and comfort for rider and horse. My personal goal is to give customers the most value for their shopping dollars. I believe that price and quality each play a role in measuring value and that the cheapest price is not always the fair price. At Boot Hill Saddlery you can always count on getting top quality at a fair price. If a custom saddle isn't what you are looking for, be assured that the same attention to detail goes into all our headstalls, breast collars, saddle bags, chaps, photo albums, notebooks, and planners. Note from Jim, I am in the process of updating, and hopefully improving, this website. Please bear with me. I will post new pages as they are available. Thanks for your patience.